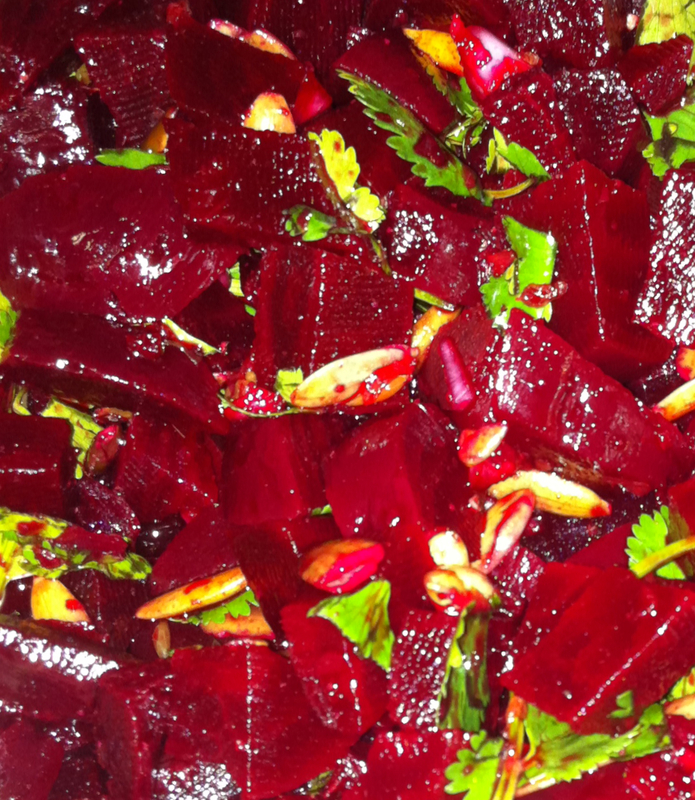 We love beets and are always trying to figure out new ways to eat them. While reading some South American recipes I found a beet with orange salad that sounded pretty tasty so I ran with that recipe and made some modifications. I opted for clementines because we had them on hand and it came out well. It’s really refreshing and will be great as we get into the warmer months. Mix all above ingredients together. Chill for at least one hour. Enjoy! Gallery | This entry was posted in Gluten Free, Salad. Bookmark the permalink.